This is the true, tall tale of John Henry. 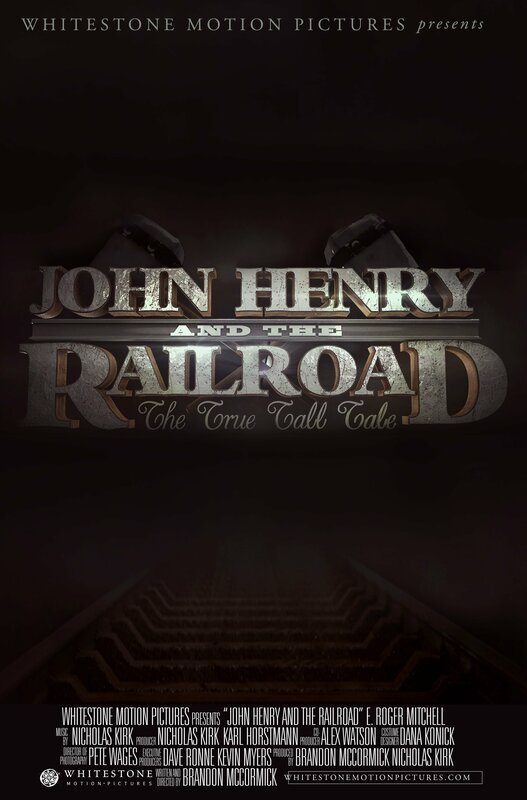 This is the true, tall tale of John Henry. Nice and informational film! A great short film to watch. Fantastic acting job done by E. Roger Mitchell and Michael Iluma. Hope to see more and bigger roles from these budding stars! Really enjoyed the music at the beginning and the narration really got me into the film. Very nice effects and the film really seemed as if it were shot in the time that was portrayed. Overall fantastic job from all the actors. Hoping to show this to my kids as a fun little movie that also has a bit of educational value to it. Great job! It looks like a lot of time and effort went into the production and making of this film, and it was very well thought out. A perfect portrayal of a folk tale we are all familiar with. The length was perfect too. It is refreshing to see a Tall Tale that is not told by a cartoon. I teach third grade, and we were learning about Tall Tales. I found this one on You Tube. My students were very attentive for the whole short film. It was more true to life. They made plenty of connection to the text they were reading. I would like to see the writer make more Tall Tales like this one.